Dion is an Attorney at Law with over twenty (20) years’ experience in the corporate environment. He holds an LL.B (Hons.) (Lond.) Degree, a Legal Education Certificate (LEC) from the Hugh Wooding Law School and a Master’s Degree in Corporate and Commercial Law (Lond.). He is a Chartered Secretary, and Fellow of the Institute of Chartered Secretaries and Administrators (ICSA), a member of Governance Professionals Canada (GPC). Dion also received training and certification in General Management at Harvard Business School (HBS). As Counsel and Corporate Secretary, Dion has had several years’ experience working with boards and committees. He also has experience in commercial arbitration and contract negotiation (international and local), lecturing – company law, contract law, commercial law, corporate governance, training of Boards in areas such as corporate governance, integrity in public life, ethics in procurement etc. He has been involved in the introduction of governance initiatives including whistleblowing software, codes of conduct, procurement systems. Dion has facilitated workshops, presentations and presented papers locally and regionally on areas such as governance, risk management, integrity in public life, procurement systems. He has also championed and project managed transformation in the state sector with projects in areas such as Inter-American Development Bank (IDB) funded corporate governance, enterprise risk management, business continuity. With the ICSA, Dion is assisting with curriculum development and is the local proctor and an international examination marker. 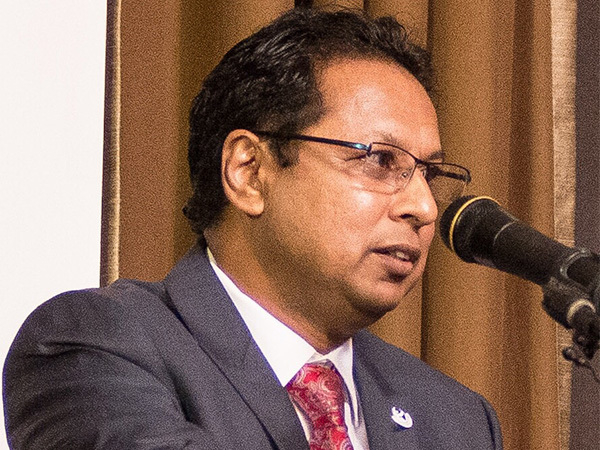 Since becoming a member of the Trinidad and Tobago Transparency Institute in 2010, Dion was elected to the positions of Secretary, Vice Chair and now Chair. Among other things, he was responsible for establishing the Advocacy and Legal Advice Centre (ALAC) and provides oversight on its operations. At present Dion is General Counsel & Corporate Secretary at the Water and Sewerage Authority. He also serves as a Director on the Board for the Executive Masters Programme in Business Administration (EMBA) at the Arthur Lok Jack Institute of Business and on the Board of Music Literacy Trust (an NGO).